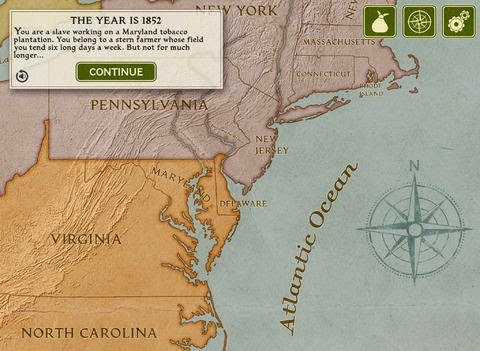 The Underground Railroad: Journey to Freedom, developed by Muzzy Lane Software for National Geographic Education, is one of the Silver Medal Winners of the 2014 International Serious Play Awards. 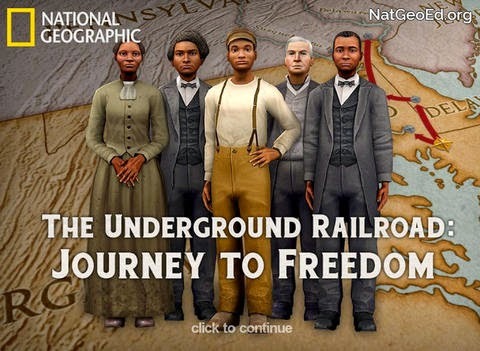 The Underground Railroad: Journey to Freedom is an online Serious Game (also available as an iOS app) that incorporates 3-D experiences as students make a series of choices that affect their journey from slavery to freedom. Along their journey students encounter challenges and meet key historical figures who provide help and inspiration. 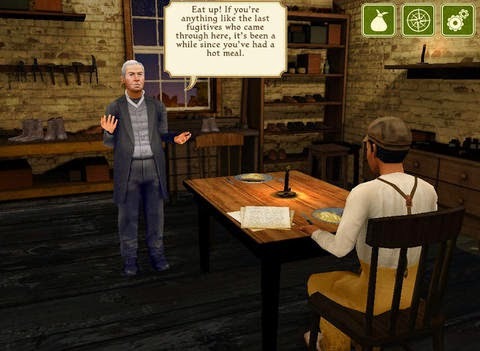 Played from a first-person perspective, in a choose-your-own-journey style, the game immerses students in the action as they escape from a southern plantation and head North toward freedom. Along the route, students will talk to historical figures and get information from primary source documents, making decisions on their path North that will lead them to one of several possible outcomes. The assessment element is fully integrated with gameplay. 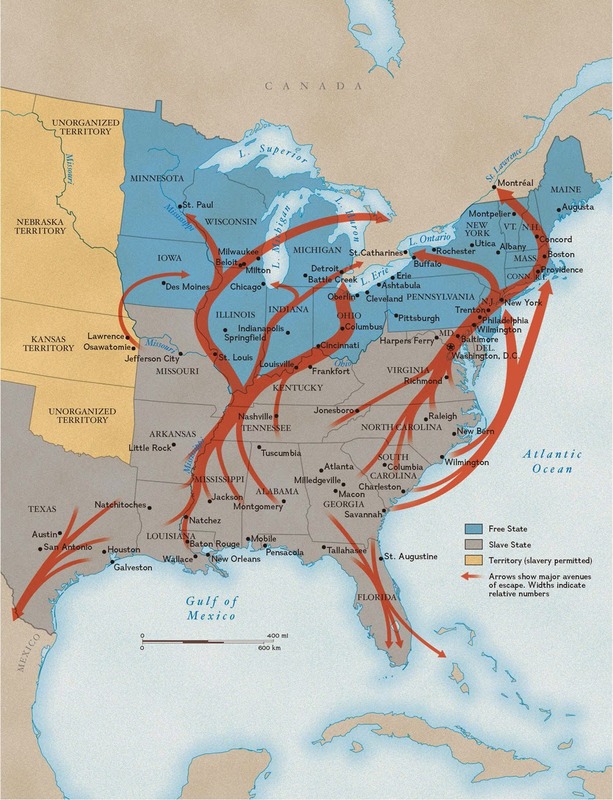 As players make a series of choices that affect their journey from slavery to freedom, the decisions made along the route determine one of several possible outcomes. As a result, the game measures and rewards critical thinking. 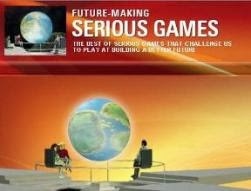 The game is designed to be played through once in about 30 minutes if students are playing independently, and in about 1 hour if they are playing in small groups or a classroom setting. 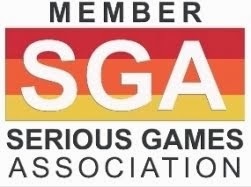 There is a detailed teacher's guide for the game that offers suggestions on how to engage students in Grades 6-10 in a variety of settings, both in and out of the classroom. The educator guide is also a resource for families. Parents or caregivers can act as facilitators, using the guide’s background information section as a reference.